Superfoods are all the rage – and for good reason! They are packed with unique nutrients, powerful antioxidants, phytonutrients, vitamins, and minerals that provide a wealth of nutritional benefits. 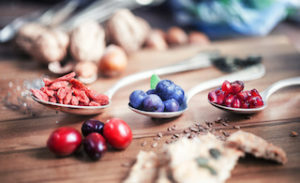 Read on to learn some of the best superfoods to incorporate into your diet on a regular basis. Although superfoods are well-known for their various health benefits, including them in your diet may feel overwhelming. Many superfoods can be almost impossible to find in the stores or may be way too expensive. 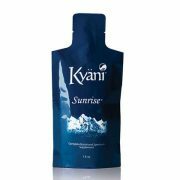 Fortunately, high-quality supplements like Kyani take the guesswork and hassle out of including superfoods in your diet. All of the superfoods mentioned below – and many more – can be found in Kyani’s exceptional products. 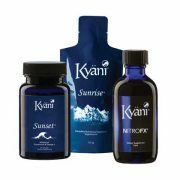 All of Kyani’s formulas are extensively studied, carefully created, and backed by proven science. 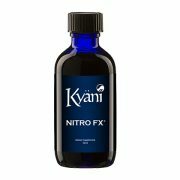 Kyani prides itself on creating innovative, cutting-edge formulas with the help of its Scientific Advisory Board. Salmon, particularly wild caught, is brimming with nutritional benefits. It is a rich source of Omega 3 fatty acids, high-quality protein, B Vitamins, Selenium, and potassium. 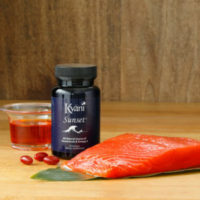 It also contains Astaxanthin, an extremely powerful antioxidant. Salmon’s high levels of protein help support hormone regulation and muscle repair. Its Omega 3 fatty acids help support a healthy mood, reduce inflammation, protect the brain, promote healthy cholesterol levels, and more. Blueberries are well-known as one of the top superfoods to ever exist. Wild blueberries harvested from Alaska, like those used in Kyani’s formulas, are considered even healthier than cultivated blueberries. In a single cup, blueberries provide a noteworthy dose of fiber, Vitamin C, manganese, Vitamin K, and potent antioxidants. Its flavonoids, also referred to as polyphenols, are thought to help reduce belly fat. Out of all the commonly consumed fruits and vegetables, blueberries boast the highest amount of antioxidant flavonoids. These antioxidants help defend the body against free radicals and reduce inflammation. Blueberries are also known to support heart health, healthy cholesterol levels, and healthy blood sugar levels. Concord grapes are packed with phenolic compounds, flavonols, anthocyanins, and hydroxycinnamates. These powerful compounds possess impressive health-promoting properties and have been shown to have a positive influence on cancer, age related cognitive decline, heart health, and neurodegenerative disease. properties. Thanks to their ellagic acid content, raspberries help prevent cell damage by neutralizing free radicals. 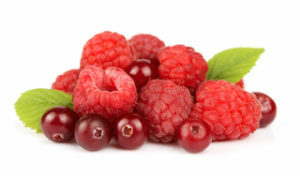 Other key compounds in raspberries include kaempferol, quercetin, and anthocyanins. They also contain copper, potassium, Vitamin E, Omega 3 fatty acids, folate, magnesium, Vitamin C, and Vitamin K.
Cranberries are notorious for their ability to help decrease the severity of urinary tract infections. They do this by preventing bacteria from attaching to the cells that line the urinary tract and discouraging their multiplication. An increasing amount of research suggests that the polyphenols and flavonoids found in cranberries may help reduce the risk of cardiovascular disease by regulating cholesterol levels, boosting vascular function, and lowering blood pressure. Acai berries are loaded with anthocyanins, powerful antioxidants responsible for lowering cholesterol levels. These potent berries also contain high amounts of natural plants sterols. These sterols help naturally prevent cholesterol from getting absorbed into the bloodstream. Other benefits of acai berries include helping to prevent blood clots, dilating blood vessels, improving circulation, and boosting overall blood flow. Acai berries are also thought to be helpful in defending the body against harmful organisms and promoting a healthy weight. Amla berry, also known as Gooseberry, is thought to have therapeutic benefits for diabetics thanks to its high chromium content. It is also low in sugar and high in fiber, making it an ideal option for diabetic patients. It is also considered beneficial for heart health as it is rich in antioxidants, iron, anthocyanin, flavonoids, and potassium. These impressive berries are thought to help prevent bad cholesterol from blocking the flow of blood to the heart. It is packed with vitamins and minerals that are crucial for brain health. Its high iron content assists red blood cells in providing oxygen to the brain. Its high antioxidant content helps fight free radicals that cause degeneration of the brain tissue. The antioxidants found in Gooseberry are also believed to help prohibit and discourage the growth of cancer cells. 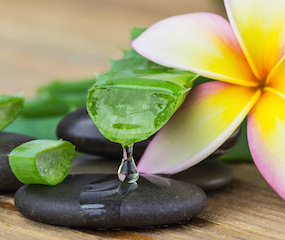 Aloe vera has been a popular natural healer for centuries. Evidence suggests that it may be helpful in treating minor burns, wounds, skin infections, diabetes, and elevated blood lipids. Its positive benefits are a result of its mannans, lectins, anthraquinones, and polysaccharides. It has 75 active components including eight enzymes, vitamins, minerals, saponins, lignin, amino acids, and salicylic acids. 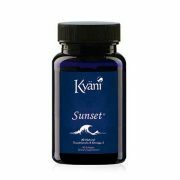 It also contains folic acid, Vitamin B12, choline, and the antioxidants Vitamins A, C, and E.
Whether you are striving to achieve optimal health, wondering if you are getting enough vitamins and minerals from diet alone, or are looking for a boost in energy, Kyani supplements can have the answer for you. With a host of superfoods, antioxidants, vitamins, and minerals, the formulas are designed to support overall health, provide sustainable energy, and support weight loss efforts. Have you ever heard of Kyani or tried one of the formulas? Do you have a favorite? Be sure to let me know – I love hearing your feedback!